Cyn Collins’ West Bank Boogie celebrates 40 years of Minneapolis Minnesota’s West Bank music scene with profiles of more than 20 legendary musicians who influenced the soul of American music. 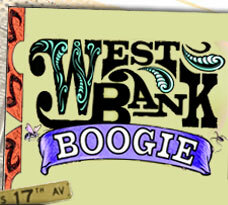 Featuring West Bank greats like Koerner, Ray & Glover, Lazy Bill Lucas, Eddie Berger, Bill Hinkley and Judy Larson, Willie Murphy, and more, West Bank Boogie chronicles the halcyon days of the West Bank counterculture through interviews, stories, classic photos and memorabilia. This 170+ page book also includes a limited-edition CD anthology of music from those artists profiled in the book! NEW and IMPROVED – NOW PRICED at $20.00. Web-only special price continues … only $16.00! It’s become an institution � our web-only special on the book: you can still order a copy for only $16.00! Click on “Buy the Book” above to order yours. 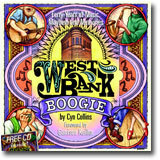 West Bank Boogie was honored in 2007 as a finalist in the General Nonfiction category of the 19th Annual MN Book Awards. While another worthy local work ultimately took home the prize, we’re proud to have taken 2nd Place! 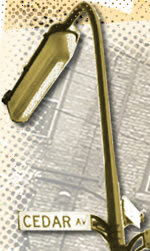 The 331 Club and 331 Salon were one big book case the night before Thanksgiving, 2006, as hundreds of fans of the boogie book feasted on its stories, photos, and memorabilia with the energy of a class reunion. Or, perhaps a revival. 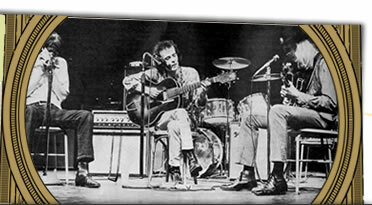 Papa John Kolstad and his Cadillac son, Koerner and Glover, and Willie Murphy delighted the crowd with a sampling of the music that gave the West Bank’s cultural revolution of the 60s & 70s a dance step. On December 1st and 2nd, the party moved over to the Eagles Club for two days of boogie and banter with many more of the players highlighted in the book.